Living an inspired life. Life is a journey. Becoming self-empowered. Just being happy. All of these simple statements have received so much press in the self-help circles that it’s enough to make anyone spiritually dizzy. The older I get, the less I know. In fact, the older I get, the less I need to know. It is not about knowledge. I have awakened to the truth that it is all about wisdom. Knowledge is facts, figures, science, logic and reason. Life, and living an inspired life, has nothing to do with facts, figures, science and least of all logic and reason. These tips are based on feedback Chris and I received during the first 50 years or so of our personal life journeys and how we used the feedback to our own personal advantage to now spend most of our waking days grounded, at peace and just feeling good about being alive. The intent of these tips is to assist you, the reader, to contemplate and if willing, to apply them to your daily experiences with yourself and the people in your life. If you are willing to use them in your life you may begin to notice some miraculous changes. These tips may also enlighten you to witness some life patterns that you may be living with, and exhibiting, that do not serve you or those you love in a loving way. 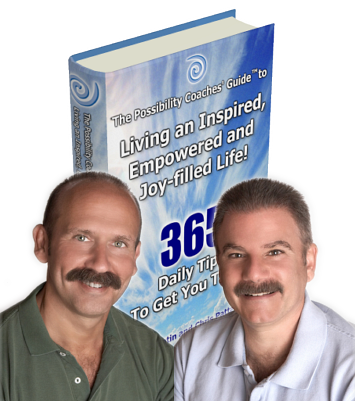 This ultimately can begin the process of guiding you to make some real, positive changes. Recall that I suggested that these tips are not based in fact, logic, science or reason. This may irritate you at first, and that’s a good thing. It is a signal that you are awakening a piece of you that perhaps has been dormant for a very long time. Picture a volcano that has not erupted for eons. Now don’t associate yourself with the eruption portion. Picture what happens after a volcano erupts and how over time changes the landscape around it. That landscape typically becomes incredibly fertile and life flourishes in a variety of magnificent forms. In a very real sense, we are all volcanoes. We all have the capacity to create wonderful, beautiful and beneficial situations, experiences and realities for ourselves and those we really care about. In an instant, and I can personally attest to this, your life can change dramatically. However, the only way that can happen is if you decide that you and only you are in-charge of you, your life and the direction you want to travel. Wherever you are right now, take a moment and ask yourself if you are really feeling like you are living an inspired life. If you can say that you are without any doubt then I am so happy for you! If not, ask yourself, ‘Why not?’ The truth about being happy is no longer a secret. Chris and I are happy to share it with you!